What would be your reaction if a daily wage labourer in India spoke to you in English? 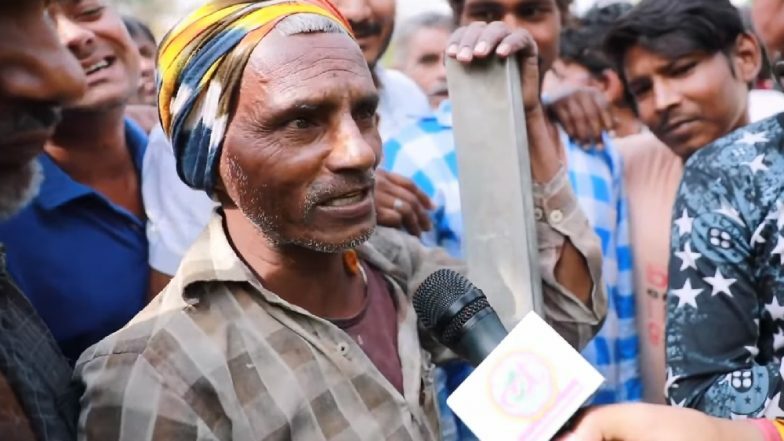 Ahead of Lok Sabha Elections 2019, a reporter who was seeking was the public opinion on the current political scenario, met a daily labourer who replied to his questions in English. In a video by Lallantop, the man from Bihar could be seen talking about politics in English, much to the amuse of bystanders. When the stunned reporter asks him about his education, he says he is a graduate! In the video, the labourer says that unemployment continues to be a big problem in the state. He compares the availability of jobs during the times of Indira Gandhi to current PM Narendra Modi. He says while he is a graduate from Bhagalpur University, he couldn't manage to find a job. Although the lack of job opportunities continues to be a problem, the situation is grim today compared to the past. Rival BJP Factions Clash During Girish Mahajan's Rally in Jalgaon, Watch Video. He also says how he has to go to bed without food in the night. Talking in broken English, he says, "I want to work. I want to work and want to say to Modi to allow for work. I don't get daily work and without food, I have to sleep. Modi sarkar, koi kahan kar raha hai rozgaar ka upay? (sic)" He adds saying, "He adds, "Rozgari, Indira Gandhi ke time pe badiya thi, abhi Modi ke time pe bhi badiya hai. Location, work and position, everything was good but now it is not great." A graduate from Bihar who speaks in English not managing to find a job is a clear portrayal of the unemployment in the country.